Gone too long... Back for Five for Friday! It's been quite a whirlwind around here with both my school life and personal life but things seem to be getting back on track so I figured, why not link up to share some of the great things happening in these last few weeks of 5th grade! 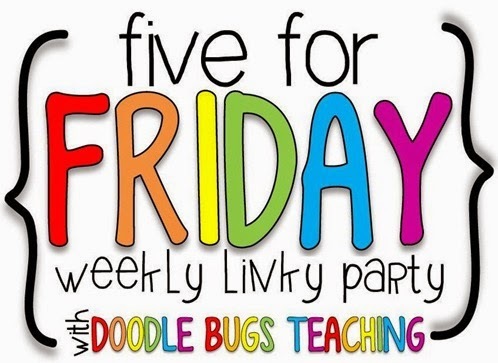 So I'm linking up once again with the wonderful Doodle Bugs Teaching for her Five for Friday linky party! We finished our College and Career Unit this week! Students had to research a career of their choice and report on the skills, experience, and education needed to be successful in that career. Thanks to Nicole Shelby and her fabulous College and Career Research Project - my teaching job was a breeze! We watched some videos on United Streaming and then had the iPads for several days to do our research. We ended the unit this week with some musical chair reviews! I love my new Staples M discbound notebook for grades and data! Tomorrow I'm running in the Color Me Rad 5K... Well, walking in the race with family. I'm excited because I've never done a "color run" before! Plus, the shirt is cute... Too bad I can't wear the adorable sunglasses because they aren't prescription! Have you heard of Our World Boutique? If not, you need to check them out. They have great sales on super cute jewelry especially statement necklaces. Five new necklaces for only $21 dollars and free shipping! Love all my new accessories! We're getting ready for our "Lemonade Day" in the coming weeks. I love ending the year with Economics! 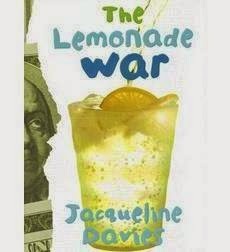 Today, read The Lemonade War and we went over different advertising techniques that companies use to hook us into their products. Then students had to decide the best strategy for marketing their drinks! I'll be blogging more about this book this Wednesday for Workshop Wednesday! What's one of your favorite unit(s) to end the year with? I love the Lemonade War! Every year our third grade has a Marketplace unit. The kids are divided into small companies and each produces a product to sell. They earn fake money for about a month and then use it to buy advertising, rent a mall space, and buy supplies to make their products. On the Mall day kids can spend their leftover money and after the sale they split their profit. 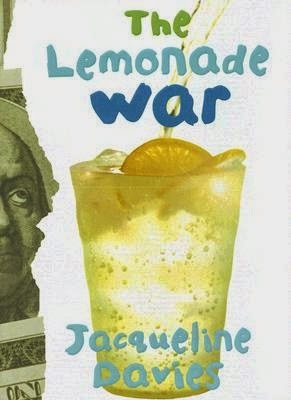 When I taught third grade I always read The Lemonade War to my class. Have you tried the Lemonade stand website? Just type lemonade stand in Google and you will find it! Have a great weekend! Color runs are great! I've done the official color run the past two summers and I'm signed up for a Run or Dye race in a few weeks! Have fun!!! Also, The Lemonade War is amazingggg! We read it this year too and my class loved it! One of my students ran right out and bought the sequel! Aren't Color Runs the best! I did one last year with some friends and we had so much fun! I love the College and Career unit! I can't wait to try it out next year. Now that I've been introduced to the Our World Boutique, I may go broke. That jewelry is awesome!